"Songs of Triumphant Love is an enthralling novel: I couldn't stop reading. I got deeper and deeper into the very real world Jessica Duchen has created and just had to find out how it would unravel. Jessica writes with an unpredictable and original voice and a dazzling perceptiveness, and I was hooked from the first page. A sensational achievement." 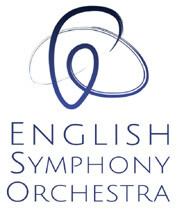 with Kenneth Woods and the English Symphony Orchestra. Jessica's concert play about Anna Magdalena Bach, first heard in August 2018 in the Australian Festival of Chamber Music, receives its UK premiere with baritone Benjamin Bevan, harpsichordist Steven Devine and cellist Jonathan Manson. Jessica is Anna Magdalena. 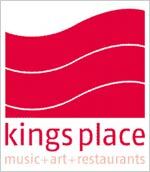 Part of the Kings Place Bach Weekend with the Feinstein Ensemble, and also part of the series Venus Unwrapped. 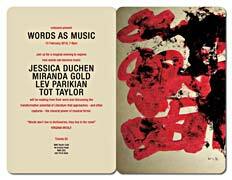 with Fenella Humphreys (violin), Viv McLean (piano), Jessica Duchen (author/narrator). 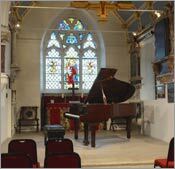 Repertoire includes music by Chopin, Liszt, Saint-Saëns, Gershwin and Tchaikovsky. Pre-concert talk about Messiaen's Quartet for the End of Time. With the Oxford Philharmonic Orchestra, violinist Alena Baeva and conductor Marios Papadopoulos. I’m overjoyed to be presenting the story of the Schumann Violin Concerto live in concert with the Oxford Philharmonic, exploring the saga of the work’s rediscovery by Jelly d’Arányi. The full, ingenious programme features the concerto as centrepiece, preceded by the exquisite Elegy In Memoriam Rupert Brooke by Jelly d’Arányi’s close friend FS Kelly, who was killed in World War I, and followed in the second half by the stunning Concerto for Orchestra by Bartók, d’Arányi’s old friend from Hungary who wrote this piece after going into exile in the US during World War II. Poised between two devastating wars, the concerto symbolises both a premonition of tragedy and a beacon of hope. 'Across the Line of Dreams' by Roxanna Panufnik, with words by Jessica, world premiere. Baltimore Symphony Orchestra & University of Maryland Concert Choir conducted by Marin Alsop and Valentina Peleggi. Looking forward to joining Surrey Libraries’ new literary bonanza to talk about turning a real-life musical detective story into a historical literary thriller, Ghost Variations, in which the victim of the crime – effectively a double kidnap! – is music itself… There’ll also be a chance to preview my new novel, Odette, which comes out the following week. Jessica Duchen (author/narrator), Thomas Eisner (violin). A first words&music outing for our husband-and-wife team. Original poetry and prose by Jessica with solo violin music by Bach, Beethoven and more played by Tom, telling the story of the time we found ourselves trapped by volcanic ash in…the West Bank. Booking: 01423 326284 or 01423 323774. A new youth opera with composer Paul Fincham for Garsington 2019. I’m excited to be working on the libretto for a new youth opera, commissioned by Garsington, with composer Paul Fincham. We’re adapting Oscar Wilde’s fairytale The Happy Prince for a new century: the Prince is a Princess, the impoverished townsfolk are very much of today, but the little Swallow is as devoted and loving as ever. It’s the first new commission for both of Garsington’s two new youth companies, for ages 9-12 and 13-21, and a professional mezzo-soprano will sing the Princess. We hope that the results will be touching, relevant and full of Paul’s wonderful new music! The performance is on 2 August 2019. 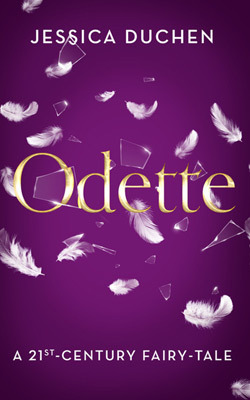 A 21st-century fairy-tale, Odette is a contemporary, magical-realist take on the famous story of Swan Lake and a successor to the seasonal story tradition of A Christmas Carol. When Odette, the swan, is blown off course in a storm, crashes through Mitzi Fairweather’s window and turns back into a human being at nightfall, the two young women must adjust to one another’s very different worlds. How far can Mitzi help her unexpected guest? Is Odette a helpless refugee, a gifted musician, both, or more? Can her spell really be broken only if a man swears to love her forever? What does it take to become fully human? Hello, Townsville! from Jessica Duchen on Vimeo. I'm off to the Australian Festival of Chamber Music in Townsville, Far North Queensland, in late July, where I'll be presenting my new narrated concert Being Mrs Bach, specially commissioned for the event by artistic director Kathryn Stott. My colleagues on stage will include Siobhan Stagg, Roderick Williams, Guy Johnston, the Goldner String Quartet and many more, and it's kind of thrilling. I'll also be giving a talk about women composers for the Winterschool and writing copious quantities of words about the experience of attending the festival. Great news that Garsington Opera’s Learning and Participation department, which commissioned the ‘People’s Opera’ Silver Birch from composer Roxanna Panufnik and me as librettist, has been shortlisted for an International Opera Award as a result. The awards will be presented on 9 April at the London Coliseum and we are all on tenterhooks with excitement! The Australian Festival of Chamber Music’s new artistic director, Kathryn Stott, has commissioned me to write and narrate a new music-and-words event telling the story of Anna Magdalena Bach in conjunction with extracts from her husband JS Bach’s music. I will be “in character” as Mrs Bach throughout and am excited to share the stage with a crowd of amazing festival musicians including baritone Roderick Williams, soprano Siobhan Stagg, cellist Guy Johnston, the Goldner String Quartet and more. The performance is on 1 August at 5pm. On 2 August I give a talk for the festival’s Winter School students about the history of composers who happen to be women. Concert is conducted by Matthias Pintscher, with David Kadouch as soloist, and the programme also includes extracts from Smetana's Ma Vlast and Dvorák's Symphony No.4. A compact, one-hour adaptation of Ghost Variations for this splendid lunchtime series run by the amazing oboist Nicholas Daniel in the magnificent surroundings of Leicester’s Victorian art gallery. A talk and Q&A about my novel 'Ghost Variations' over morning refreshments. Tickets available from Cobham, Weybridge and Walton libraries. We have added a Site Seach Engine for you.